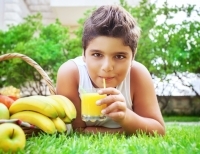 Nutrition plays a significant role in children's dental health. 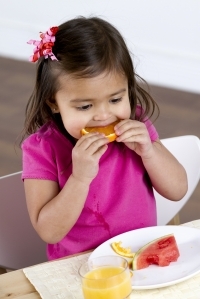 Learn all about what children should – and should not – eat, for a happy, healthy smile. Everybody knows that sugar, in the form of candy, sweets and pop, can do a lot of damage to children’s teeth. You may be surprised to learn that there are hidden sugars lurking in some of these seemingly health (or at least not obviously sugary!) foods. We're often asked by parents trying to cut back on their children’s sugar consumption whether or not sugar substitutes have and adverse effect on oral health like real sugar does. Even though daily brushing and flossing should always be the first line of defense when it comes to keeping your children’s teeth healthy and clean, there are a few different types of food that can help keep things clean between brushings! Many people, and even children, are in a mild but continuous state of dehydration day to day. This can have unexpected but significant oral health consequences. 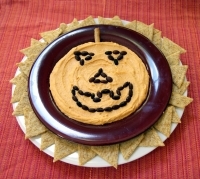 Many parents struggle to find healthy treats and snacks to serve at their kids’ birthday parties that are also fun and appetizing. The following suggestions are sure to be a hit with adults and children alike! 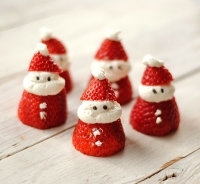 A great way to curb your children’s sugar intake during the Christmas time is to provide some healthy festive alternatives. Here are a few of our favorite ideas! It can be very difficult to pack a healthy lunch for your kids to bring to school, especially one that they'll be willing to eat! But it is fundamental to their oral health. Halloween is the scariest day of the year - both when it comes to ghosts and ghouls, and when it comes to oral health, too!